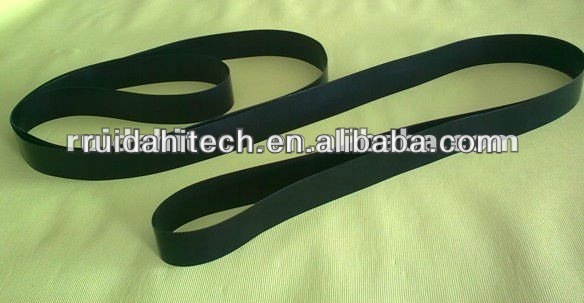 choose fine fiberglass and Kevlar as basic materials, knitted by special equipment and coated with fine PTFE so finally make one kind of special seamless fusing machine belt. Seamless fusing machine belt overcomes former problems of traditional joint fusing machine belt such as bad stability, ruptures, and deflecting for different girth on two sides at the joint. The using life of seamless PTFE Fusing Machine Belt are much longer than all kinds of joint PTFE Fusing Machine Belt.